Keep Fear Alive? Let’s Not!! Surprise, May 21st came and went with no apocalypse! Just as in “Devil Wind” a manipulator (Miller in “Devil Wind”, Family Radio Network founder Harold Camping in this situation) was able to create a level of irrational fear that drove people to actually believe the world was about to end. Of course, “Devil Wind” is fiction, but sadly millions in our country really do believe in doomsday predictions. Some of Camping’s followers actually quit their jobs and emptied their bank accounts to show their absolute faith in their leader. Why? Because Camping was able to tap into their worst fear. If a car is racing in your direction in the wrong lane of a busy California freeway, fear can be a useful emotion, sending a cocktail of chemicals (including adrenaline) surging through your bloodstream, allowing you to act instinctively, to serve out of the way of that oncoming vehicle. On the other hand, in some other situations- especially those in which there is no immediate or, I would submit, no “real” danger- this primal emotion (i.e. fear) can result in inappropriate decisions by paralyzing one’s reason. After he left office, former Homeland Security Chief Tom Ridge wrote a book called “The Test of Our Times” in which he claimed the Bush administration had used imagined fears of a terrorist attack after 9/11 to sway voters. According to a scientific study published in a 2009 issue of the American Journal of Political Science, politicians of both parties are likely to try using fear to make people agree with decisions they might otherwise regret. “A greater understanding of when fear can and cannot be used to scare citizens into supporting bad policies can help journalists and scholars more effectively interpret important historical events. It can help them think about whether, and to what extent, elite manipulation of citizen emotions contributed to initial public support for these kinds of government actions,” Arthur Lupia and Jesse O. Menning, the authors of the study, argue. She goes on to talk about how we, the public, need to become better educated about issues, to start thinking more clearly and rationally so that fear does not overwhelm us. Politicians understand that fear creates power over people. As long as voters are afraid of something (terrorism, gay marriage, drugs, guns, other religions, whatever) they can be controlled. But when we’re not afraid and understand the issues thoroughly, we are less likely to fall under the spell of fear. Think it about it folks. Shouldn’t we all become better informed citizens? Frankly I’m tired of being told to be afraid all the time. Here’s Sammy Greene’s advice: have a great Memorial Day weekend. Enjoy your friends and family. And remember, the end of the world has been cancelled! 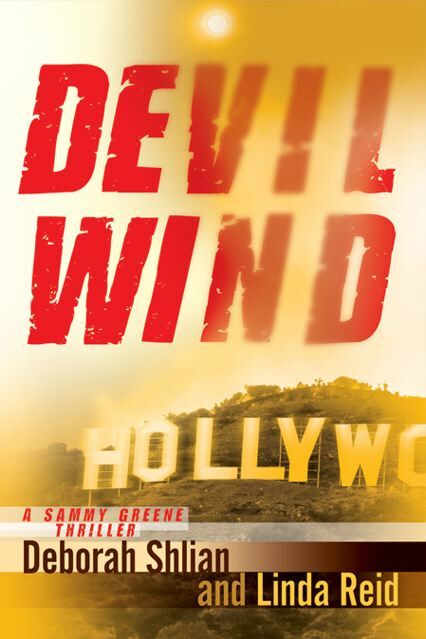 PS While you’re sitting by the pool relaxing, why not read a copy of “Devil Wind” my latest adventure? It’s in hardback , eBook and on Audio. Previous How Jews got their surnames Next Authors Deborah Shlian & Linda Reid on the Chick Lit Show from Australia!